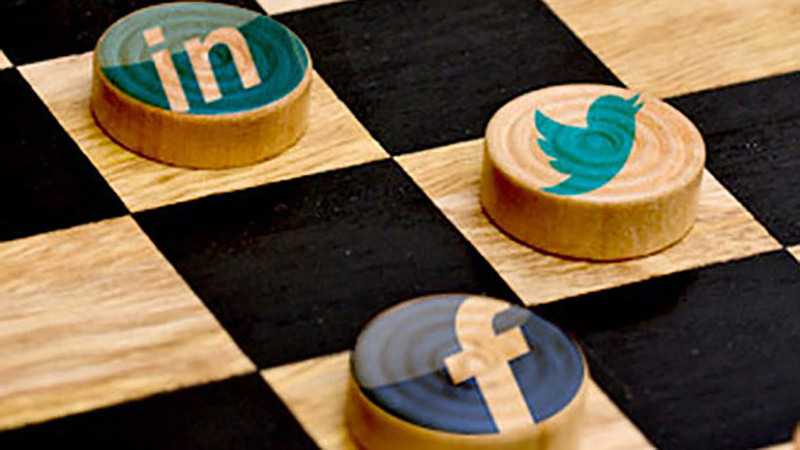 Check data Usage is an effective tool to optimize your Internet data usage. 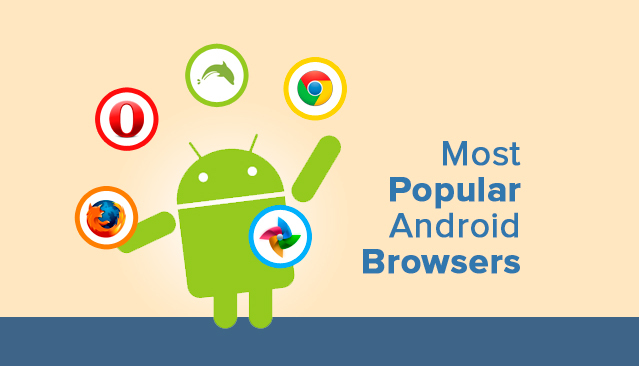 It helps you keep tab on your data usage both on mobile & Wi-Fi network. Using this tool, you can manage your Internet data plans effectively. Let’s discuss some of its amazing features & functions. Home Page: You can find all app functions on the home page. It also mentions data usage both on mobile data and Wi-Fi network on it. You can avail all different app functions from here easily. Set Data Plan: This function helps you manage your Internet data consumption well by allowing you to set data plans for your device. To set data plans you need to mention data limit and days to cover. You can select from pre-defined days (15, 30, 60 or 90 days) or set days manually from the calendar. In other options, you can find maximum data usage alert and option to display Wi-Fi usage in the notification bar. Optimize the Internet: This function allows you to stop all active services on your phone which are using the Internet. This is also useful to clean device RAM instantly. Clean Cache: This function helps you clean all cache files which may accumulate on your device due to browsing, searching and other tasks. RAM Clean: Use this function to stop all apps & services running on your device no matter they are using the Internet or not. Using this function, you can clean your RAM to improve performance. 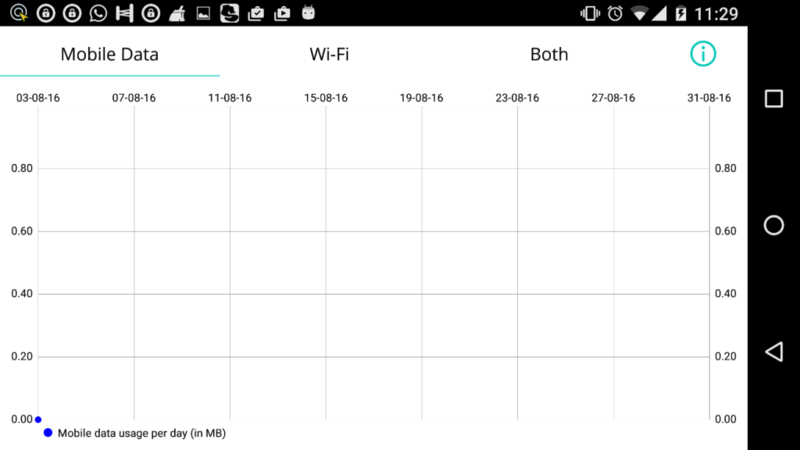 Data Use Chart: It displays detailed analysis of your Internet data usage both on a mobile network or Wi-Fi network on daily basis. It displays analysis for the currently active plan. Data Summary: Using this function, you can see total Internet data usage on your device using both mobile network and Wi-Fi network from the time of installation of this app to till date. 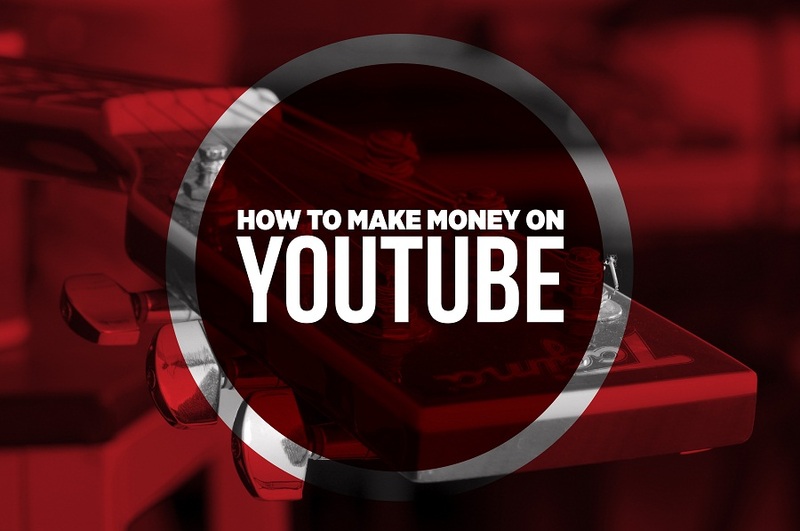 You can see details on the monthly, quarterly or annual basis. 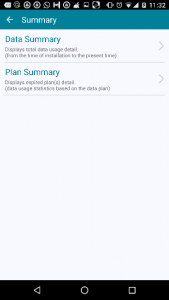 Plan Summary: This function displays all expired data plan (s) on your device. Using this function, you can plan your Internet usage more efficiently based on previous data usage. Usage by App: This function displays data usage by individual app or another service on your device using mobile network or Wi-Fi. Use this function to manage resource hungry apps. 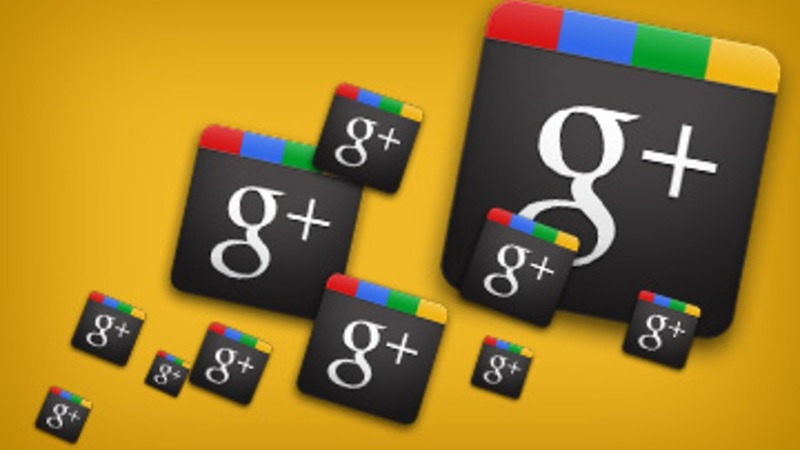 Tips: This section gives you useful tips to optimize your Internet data usage on your device. 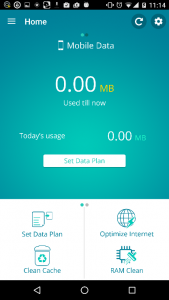 Daily Data Usage Limit: Use this function to set maximum data usage limit per day. It will notify you whenever you exceed the predefined limit. 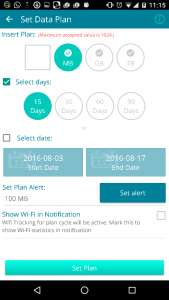 Reset to default: It will help you remove all plan details, summary reports related to mobile and Wi-Fi network and restore default settings. 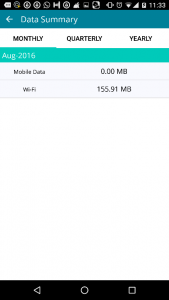 Show Data Usage Notification: Mark this function to notify data usage status in a status bar. It will help you see data usage notifications in the status bar. 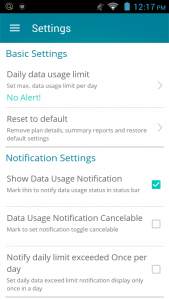 Data Usage Notification Cancelable: Mark this function to set notification toggle cancelable. Notify daily limit exceeded once per day: It will notify you once in a day whenever you exceed daily data usage limit. 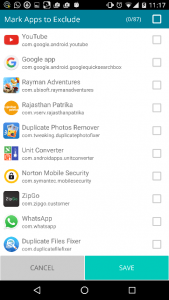 App Exclusion list: Using this function, you can include apps to this list to exclude them from scanning when “Optimize the Internet” function is selected. Tutorial: Find all useful information about this app and how it works under tutorials. When you plan to keep a tab on your Internet data usage, this app works effectively to help you do that. It helps you optimize your Internet data usage significantly. 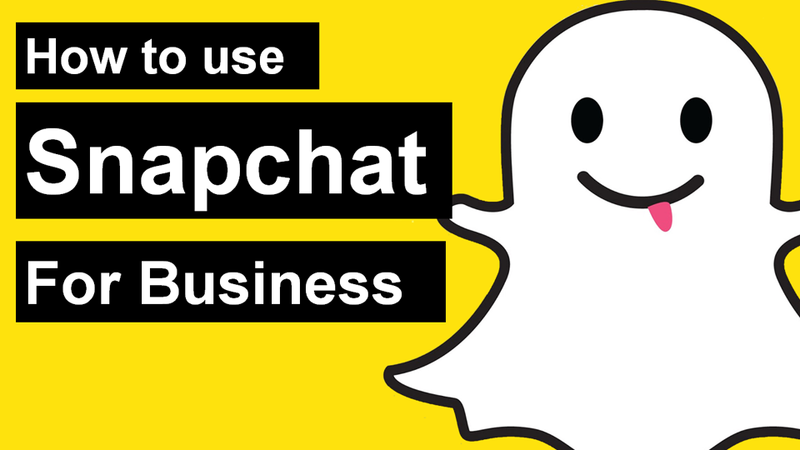 We highly recommend this app to users around the world. 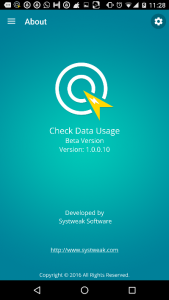 Be the first to comment on "Check Data Usage Review: Data Usage Analyzer for Android"